Start by building two splash towers in the gaps between the pink mist. Build a generator on the mist. Keep building generators until you have all three built. 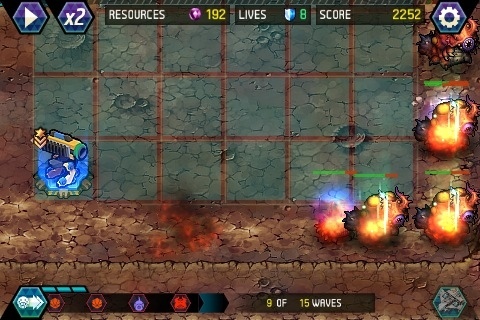 Use the resources to upgrade the splash towers. Build a flame tower at the beginning of the level, then upgrade it. Build more splash towers in the middle and upgrade them. That’s all there is to it. I’m finding it near on impossible, can’t find a stratergy that works. On “normal” this works well if you stick your first splash on the very bottom along with a mine. then a second mind. then a second splash in between the mines. Then the third mine followed by a standard “bullet” tower (not sure the name of it .. the first one you ever get in the game). 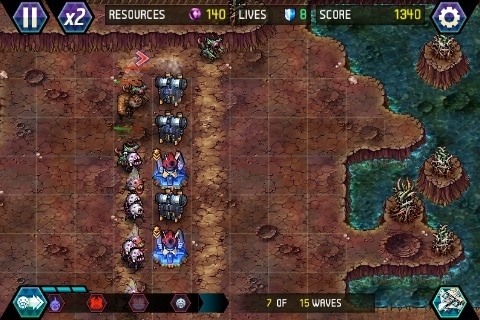 The faster speed of some of the units make a faster shot necessary. I suppose a long-range tower might work too. Then you would need to upgrade the shooter quickly followed by the two splash (and a third mine in there too). Build up the rest of the atrium column with splashes and then a final 2 splashes on either side of the bottom corners. Actually beat this level in hard by building nothing but the Canon along the middle line and upgrade whenever possible. 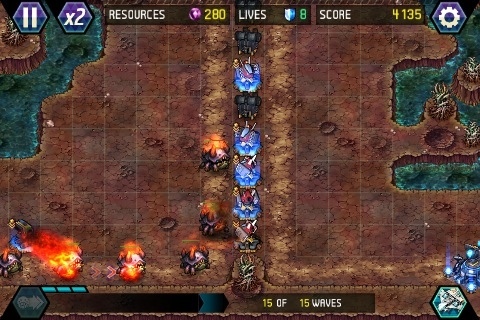 To do this on hard – only splash towers and generators (x2). Start with a splash tower at the bottom of the, then as soon as poss build two generators on the lower pink clouds. Then build a second splash tower at the bottom above the first one. Once you have the resources build a 3rd splash tower at the very top in the pink cloud thing. 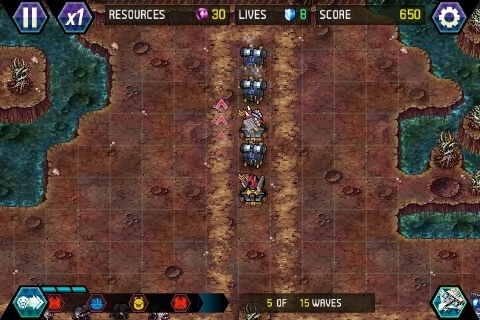 You should have this by wave 5. The important bit, fully upgrdae the bottom splash tower then fully upgrade the 2nd splash tower (next to the bottom one) all the while collecting your resources to do so. 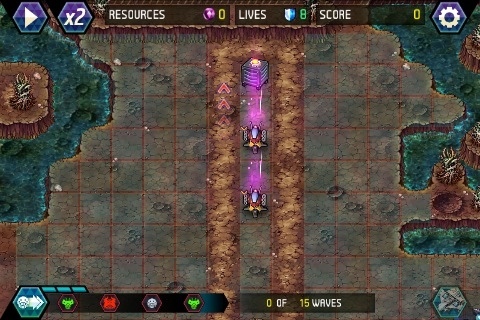 By wave 8 you should have 2 fully upgraded splash towers and one depleted generator, next you must fully upgrade the top splash tower. you should have 3 fully upgraded splash towers and 2 depleted generators, then as resources become available build more splash towers and upgrade them fully,from the bottom to the top. easy. So I had a very hard time with this and finally did it with only 1 life lost (on the first wave). Here was my build order.